Former Defense Minister Moshe 'Bogie' Yaalon, a Netanyahu rival, calls on Prime Minister Netanyahu to resign over bribery allegations. Former Defense Minister Moshe 'Bogie' Yaalon called on Prime Minister Netanyahu to step down following indictments in two separate corruption cases, popularly known as “Case 1000” and “Case 2000”. In an impassioned Facebook post on Sunday, Yaalon noted that three of the main figures in the case, Attorney General Avichai Mandeblit, Prime Minister Netanyahu, and Police Commissioner Roni Alsheikh,- had all served under him in various capacities in the IDF. "This is a hard day for us," wrote Yaalon. "Bibi (Netanyahu), Roni (Alsheikh) and Avichai (Mandelblit) were all my subordinates. I know them well. They all have dedicated their lives to this country and I never thought we would reach this situation." "I thought and still think that Netanyahu should have done the right thing and resign but since none in the coalition shows any leadership, we now must wait for the legal process to finish." Yaalon and Netanyahu had once been close confidants. 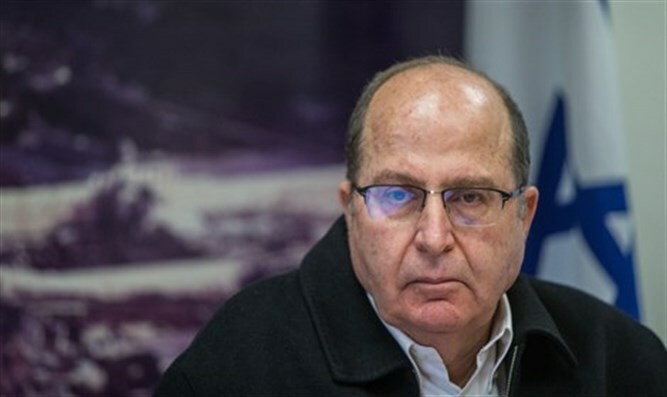 However, relations between the two soured after Yaalon was removed from his position as Defense Minister by Netanyahu in 2016. Yaalon then quit the Likud to form a new political party. Since then, he has slammed Netanyahu several times, emphasizing his opinion that Netanyahu is not fit to lead and that Ya'alon himself will create a party list and run for prime minister. However, according to polls, Ya'alon's new party will not garner enough votes to pass the electoral threshold needed to enter the Knesset. A recent poll showed Netanyahu's Likud as garnering 30 seats. While Netanyahu has been emphatic that he will not step down over the police recommendation to indict him, should Mandelblit approve the police department’s recommendations to indict, the Prime Minister will face pressure from both inside and outside of his coalition government. Finance Minister Moshe Kahlon, chairman of the government’s largest coalition partner, backed Netanyahu following the police announcement last Tuesday, yet seemed to suggest he would not support the continuation of the present government if an indictment is indeed filed, saying that “only the Attorney General is entitled” to rule on the matter.